Everything is in place. Everything is available. Everything is in order. You’re perched and ready to go. Why aren’t you going then?! Nothing is in place. Nothing is available. Nothing is in order. You’re perched and scared to go. Why aren’t you going then?! It will never feel perfect. It will always feel risky. 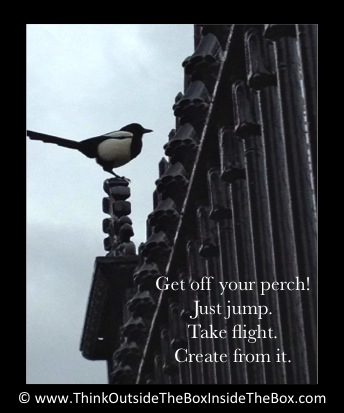 So regardless of how or where or why you are perched, you must jump off and go for it! If you never leave your perch you’ll never find out where you can fly.